Beware arrest when in shady surroundings. As a Fairfax, Virginia, criminal lawyer, I know that anybody who stays at a party when some people start doing lines of cocaine, remains with a “friend” who shoplifts right next to the innocent person, or, much worse, takes a ride in a car carrying a human corpse in the trunk is inviting a dragnet arrest by the police. 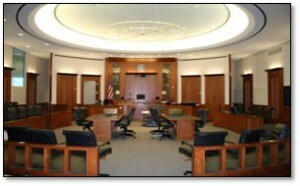 Repeatedly, the appellate courts accommodate police work, from watering down the Fourth Amendment’s assurances against seizures without probable cause (applying the Terry reasonable articulable suspicion concoction), to permitting warrantless home searches based on exigent circumstances, to not requiring Miranda (right to remain silent) warnings during the initial investigatory phases of a DWI case. The claim of two arrestees that an offsite woman named “Peaches” was a tenant — despite the dozens of others present not mentioning Peaches — who okayed the gathering only strengthened the Supreme Court’s okay of the arrest, seeing that when pressured, the so-called Peaches first lied that all was legitimate but next admitted otherwise. Seven of the Supreme Court justices in Wesby find the arrest of the attendees to be a clearcut lawful arrest based on probable cause to do so, whereas two of the more liberal justices (Ginsburg and Sotomayor) state some reservations. Wesby is a lesson of to beware arrest when present in shady surroundings.